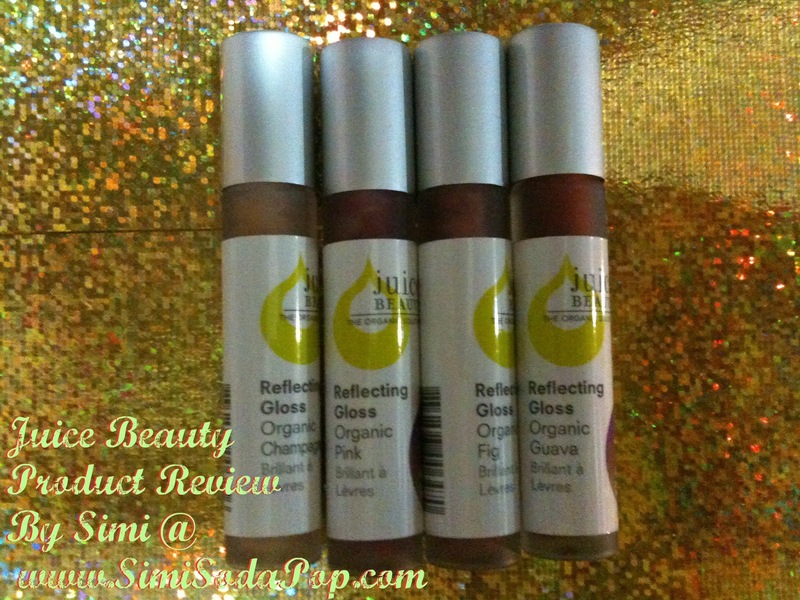 This is a product called: "Organic Kisses Reflecting Gloss" By a company called "Juice Beauty"
I have recently tried the product & i adore these little glosses! This pack contains 4 glosses, which is perfect to fit in your purse! I'm loving these glosses because they are VERY moisturizing & keep your lips smooth and they are perfect alone without any lipsticks or anything. They act like a Lipstick/Lipgloss/Lipbalm all in one! You can buy Juice Beauty products at Sephora & online the Juice Beauty website! 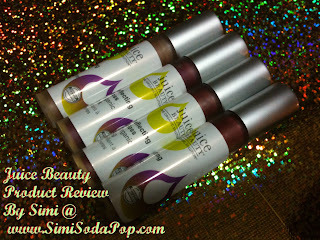 I adore their packaging & logo, its very fresh looking! 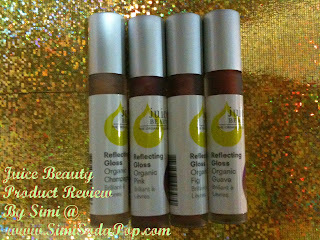 I also love that they are Organic & Not sticky like many other glosses! I'm wishing that Juice Beauty makes more shades soon! 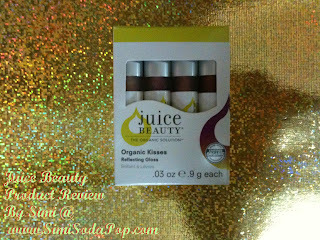 "A Organic Kisses Reflecting Gloss 4 pack"
The company Juice Beauty sent me the Lip Gloss for a possible review. & They are kind enough to include one set for a winner of my site!